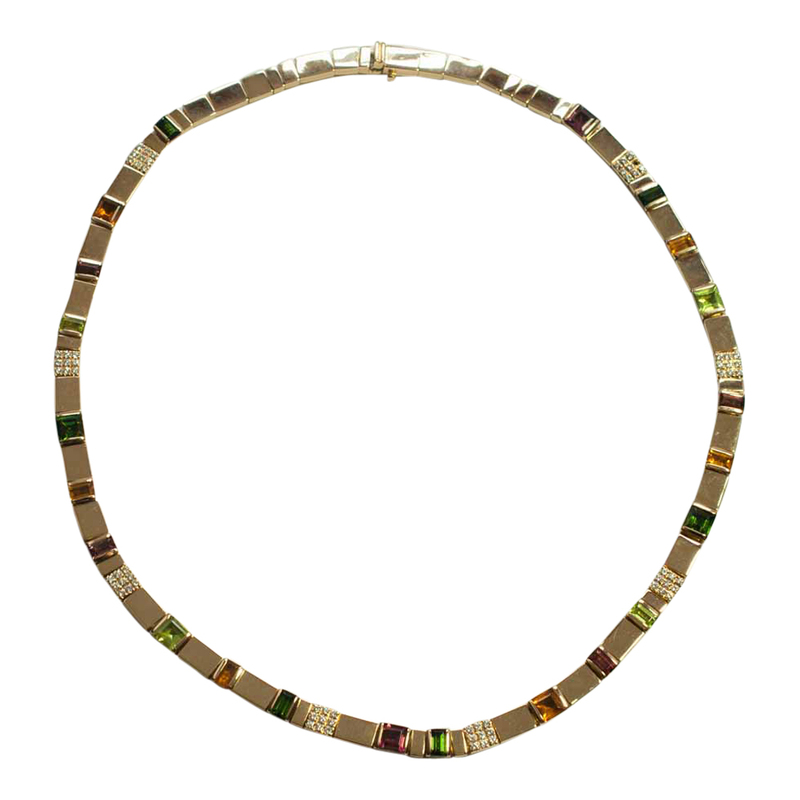 Stylish necklace by Asprey in 18ct gold and set with diamonds and gemstones. 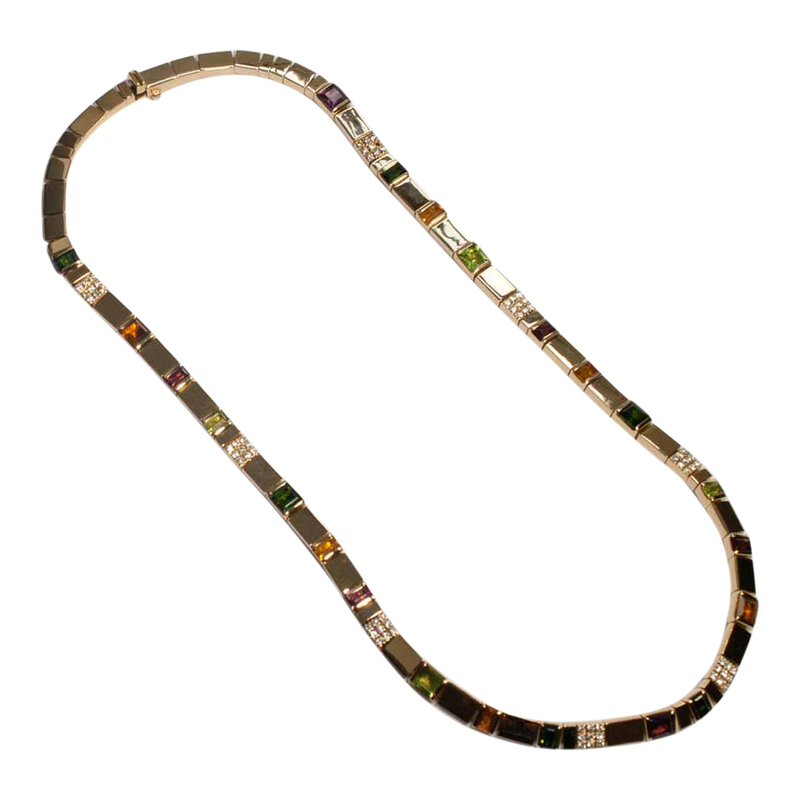 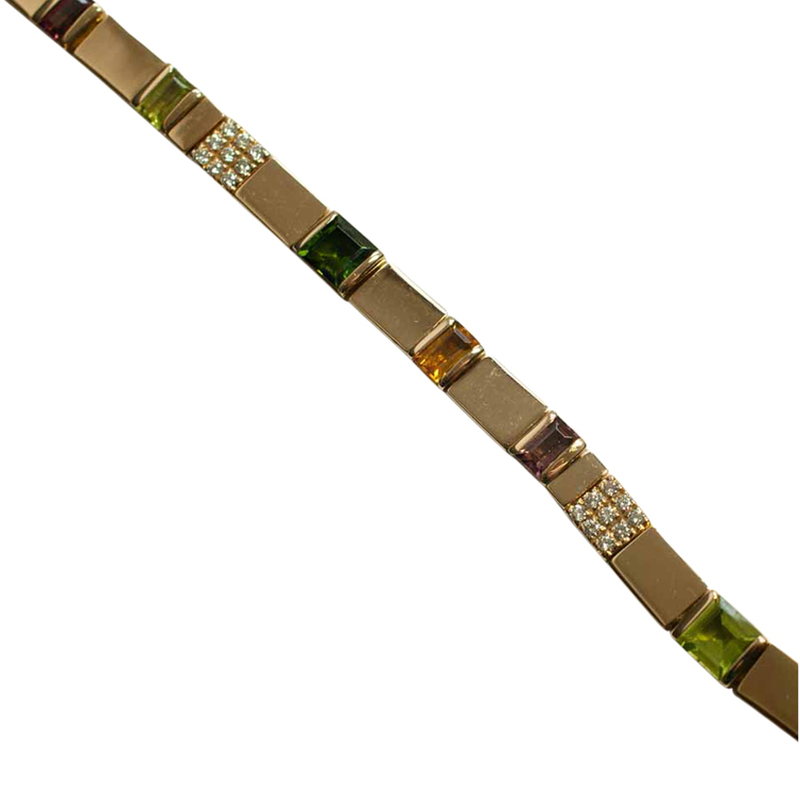 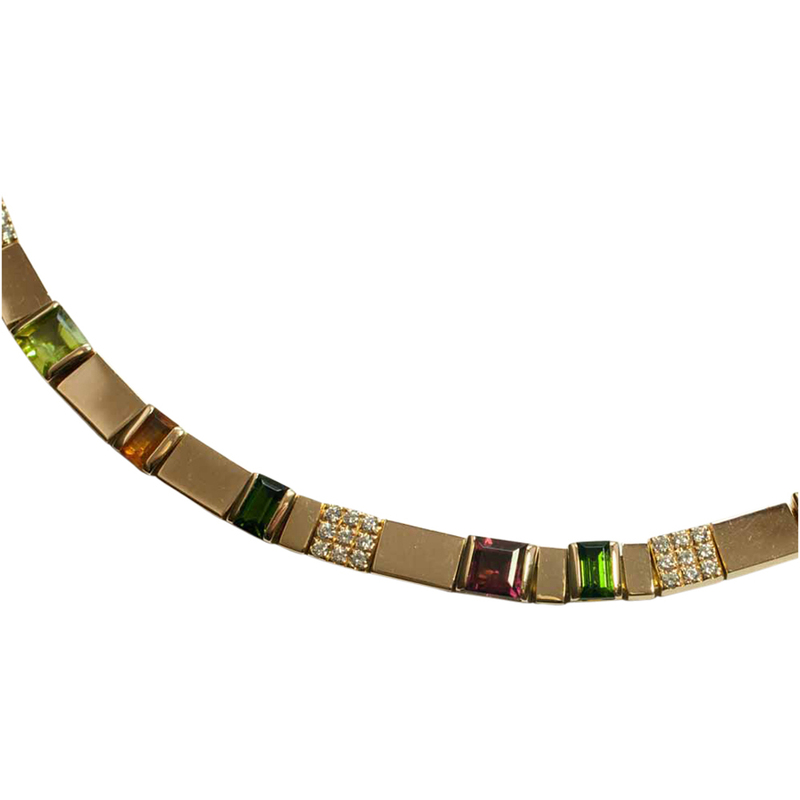 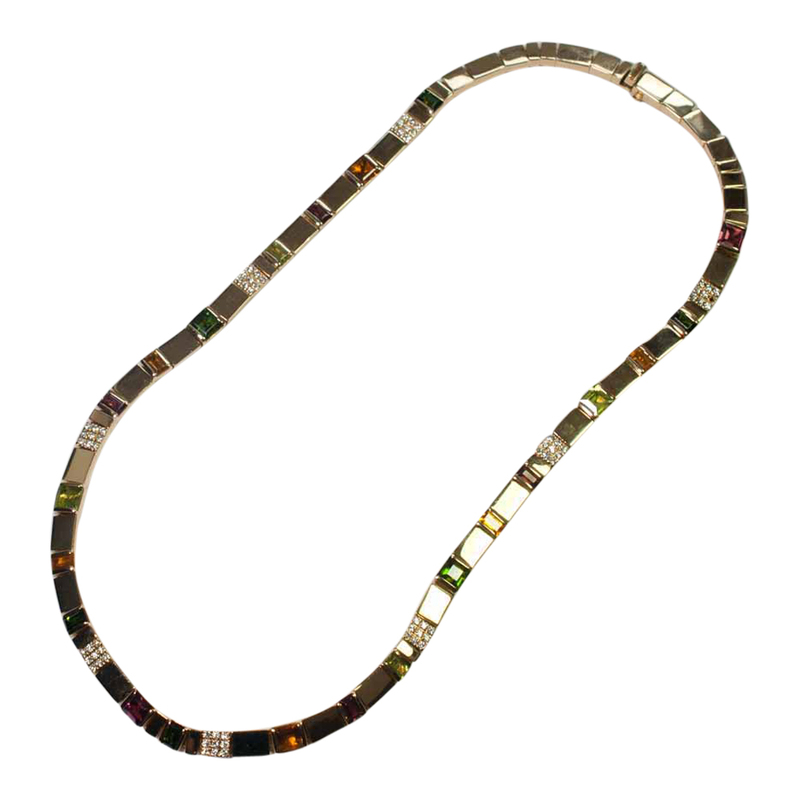 This necklace is formed of articulated rectangular gold sections interspersed with brilliant cut diamond set panels and square and baguette cut citrines, peridots and tourmalines. 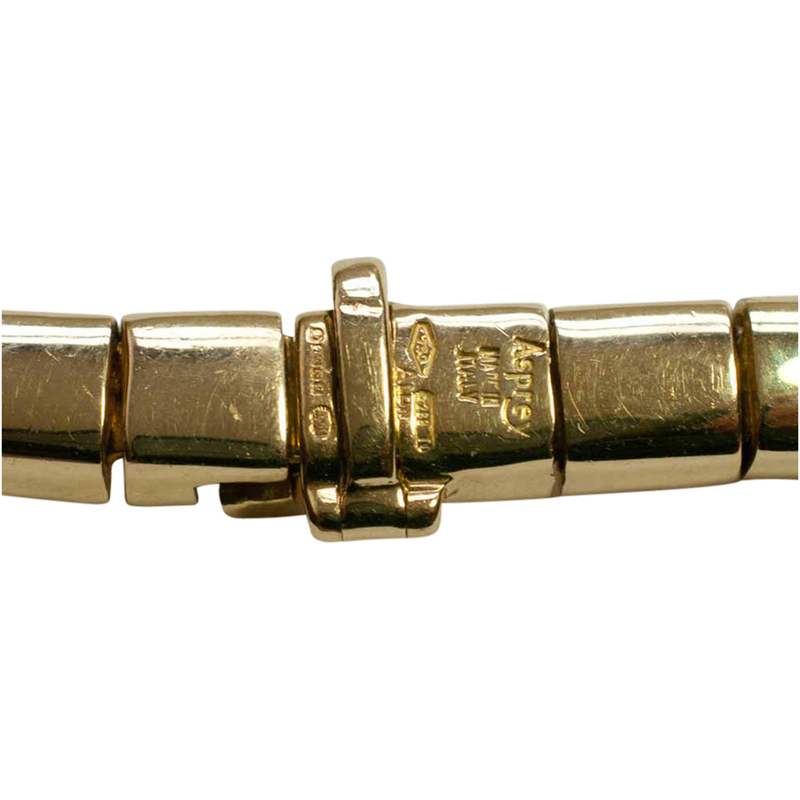 The closure is formed of a push clasp with a flipover lock for added security. 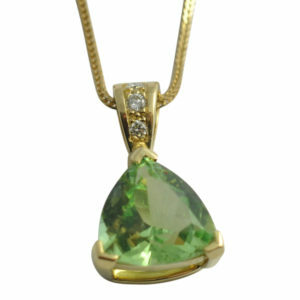 The diamonds total 1ct; weight 68.7gms ; width 0.55cm; length 41cms. 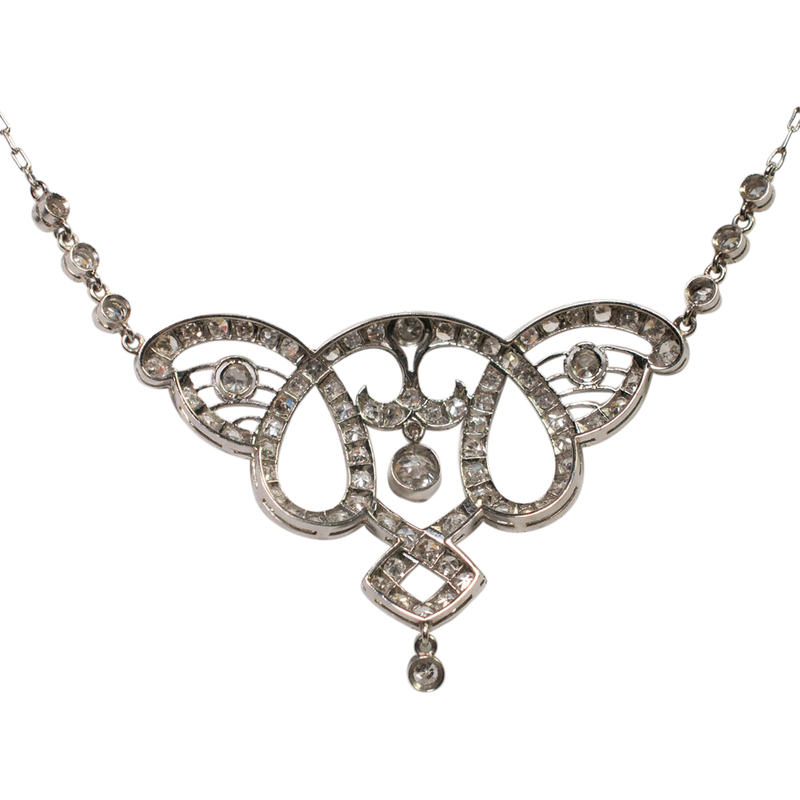 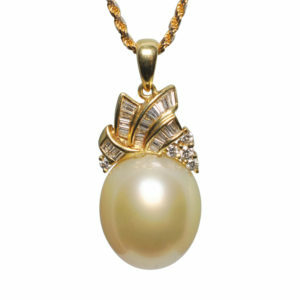 This necklace has been superbly made in the tradition of one of Britain’s great jewellery houses which is the mark of its quality. 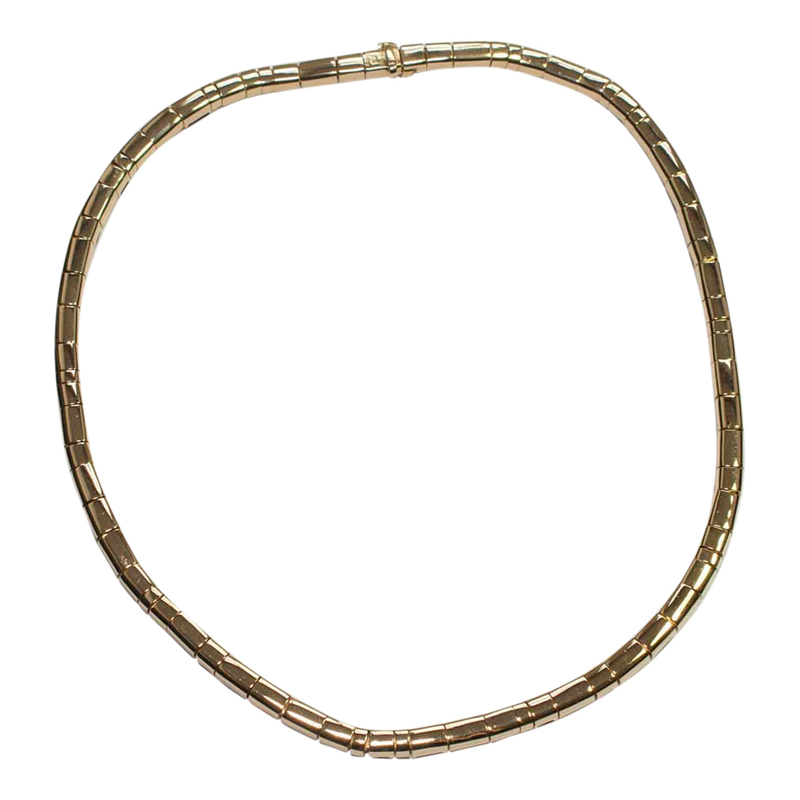 Signed Asprey and fully English hallmarked for 18ct gold. 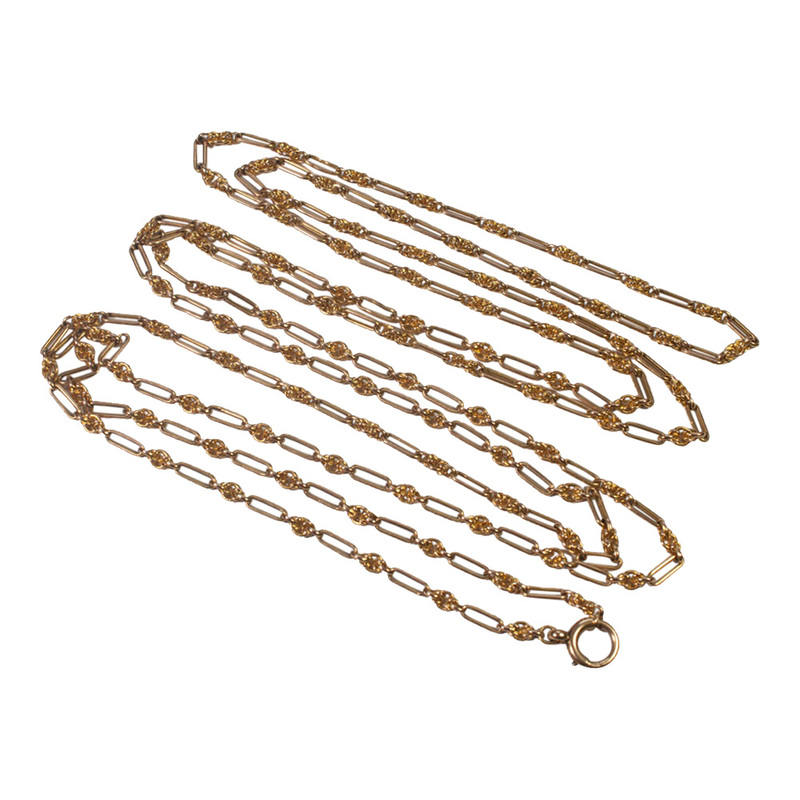 C. 1970s. 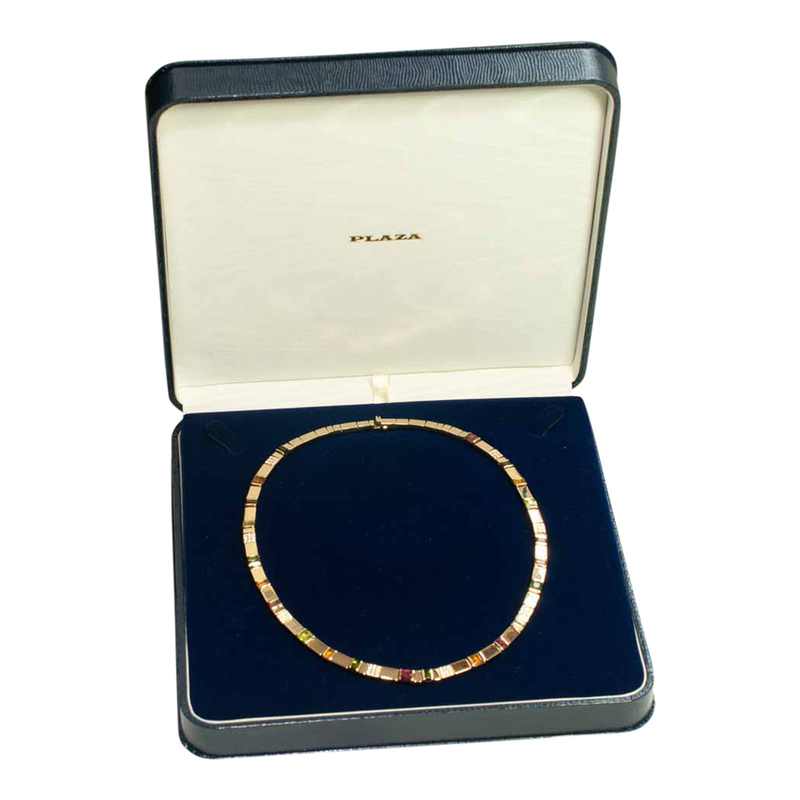 This has been professionally re-polished and is in excellent condition.